CREO, Inc. expands footprint into Charlotte with new practice. The firm selects Charlotte area finance and business executive Wendy Laxton as Partner. 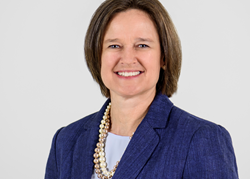 CREO, Inc., a fast-growing, novel management consulting and advisory firm launched in the heart of the Research Triangle Park, is pleased to announce that Wendy Laxton is joining the firm as Partner, and is opening the Charlotte, N.C. practice. CREO focuses on management consulting, information technology, finance, advisory and leadership solutions. As the company enters the Charlotte market, the team will focus on delivering on-demand financial management, change management, corporate development, and performance improvement services. For nearly 25 years of Laxton's professional career in Charlotte, she’s held corporate and operational finance roles in construction, real estate, nonprofit and other service oriented industries, including Tyler 2 Construction where she served as Controller and CFO during her 15-year tenure. Prior to Tyler 2 Construction, Wendy worked at Big 4 public accounting firm Peat Marwick Main and Co. (now KPMG) as an auditor and consultant. Over the past seven years, she founded and led Laxton CFO Services to provide financial strategies, tools, and intelligence to equip Charlotte business leaders with the knowledge required to make impactful decisions. As a Partner at CREO, Wendy brings real world expertise and C-suite experience in the areas of strategy development, leadership, financial analysis, forecasting and reporting. “We are experiencing a disruption in the way work is being performed. Emerging organizations do not always have the luxury of employing full-time skilled resources in critical corporate functions to support their growth. CREO offers these disciplines with talented, trusted advisors who work on demand and serve as catalysts to move your business further, faster utilizing repeatable methodologies,” said Acker-Walsh. “CREO outfits company executives – entrepreneurs, CEOs, and Boards of Directors – with experienced senior business leaders on demand, meaning they are there when and how you need them, whether on a fractional or retained basis”, said Michael Townley, President and Co-Founder. CREO currently serves a broad range of clients in the life sciences, health, technology, and nonprofit sectors, located in Research Triangle Park, Atlanta, Northern Ohio, and the Washington, D.C. Metro area. CREO, Inc. is a novel management consulting and advisory firm helping change businesses through a focus on organizational health. The company focuses on management consulting, Information Technology, finance, advisory and leadership solutions. CREO helps its clients operate effectively, freeing them to apply their talents, pursue their mission, and realize their vision. To learn more, visit http://www.creoinc.net.